Magdalene Survivors Together have criticised the government nearly a year after a UN committee recommended an inquiry into the State’s involvement in the running of the infamous institutions. 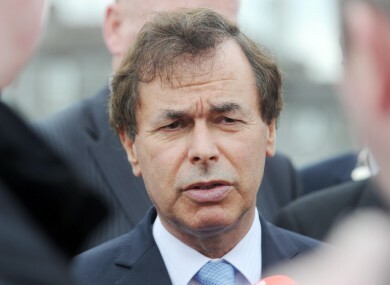 JUSTICE MINISTER ALAN Shatter is to write to one of the advocacy groups for survivors of the Magdalene Laundries after the government was criticised for a lack of response to their concerns. The Magdalene Survivors Together (MST) group said earlier this week that the Shatter and the Minister of State for Disability, Equality and Health, Kathleen Lynch, had failed to undertake a “restorative and reconciliation process” which was promised to them last September. “It is quiet clear that Kathleen Lynch and Minister Shatter have completely failed the women on both of these counts. The Restorative and Reconciliation Process has been completely and utterly forgotten about,” the group said this week. The group met with Senator Martin McAleese this week who is chairing an inter-departmental committee examining the State’s involvement in the institutions which operated in Ireland from 1922 to 1996. The group has submitted over twenty survivor testimonies which they say outlines the State’s interaction both directly and indirectly with the institutions. Almost a year ago, a UN Committee Against Torture recommended that an inquiry be held after stating that it was ”gravely concerned at the failure of the State to protect girls and women who were involuntarily confined between 1922 and 1996 in the Magdalene Laundries”. Another survivors group, Justice for Magdalenes, criticised the government this week for what it said was an unacceptable delay in implementing the recommendations of the UN committee. A Department of Justice spokesperson told TheJournal.ie this week that the Minister will be writing to the MST group this week. “With regard to the restorative and reconciliation process, I can advise that Minister will shortly be writing to the Magdalene Survivors Together group on this matter. “At this point, I cannot pre-empt what the Minister’s plans are in relation to the process,” the spokesperson said. The inter-departmental committee is due to make its final report in the autumn, a report which the Department of Justice said would then be considered. Email “Shatter to write to Magdalene survivors after criticism of State's response ”. Feedback on “Shatter to write to Magdalene survivors after criticism of State's response ”.